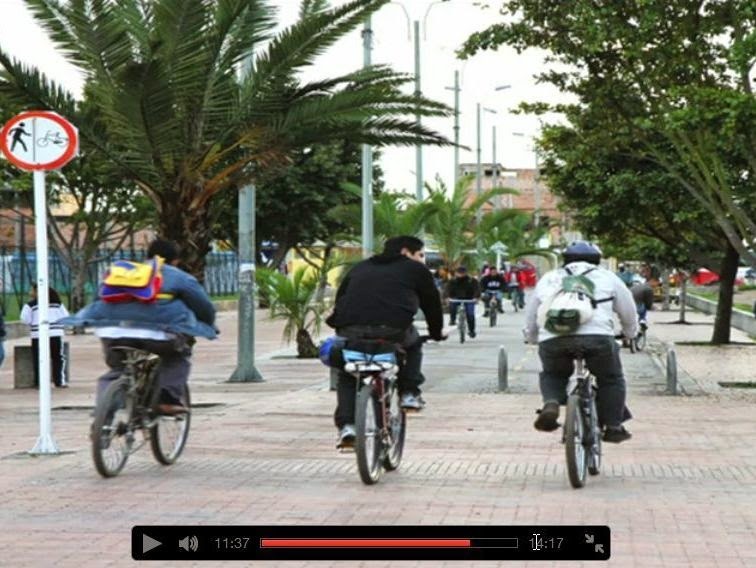 When Enrique Penalosa was mayor of Bogota, Columbia, he transformed his city into a place that prioritized mobility for bicyclists and pedestrians. By spending transportation funding first on buses, sidewalks, and bikeways, he proudly proclaims Bogota made a person on a $30 bicycle equal to a person in a $30,000 car. They brought dignity to people who have no choice but to ride a bicycle. In this TED talk, Mr. Penalosa demonstrates that by prioritizing vulnerable travelers, cities become better places for everyone, even car drivers. Social bike business programs cannot exist in a vacuum. Even if you can lay claim to all the best practices outlined in Defying Poverty with Bicycles, you are still dependent on your surroundings. You may have an extraordinary team leading your nonprofit. You might have lots of eager donors providing bicycles, funding, even a building. But if the people who come to your program for a bike or a career cannot walk or bicycle to and from your place, you’re facing a serious obstacle to the long-term success of your bicycle program. I know it’s a lot easier to focus on the daily urgencies that come to your program. Find a seat post that fits this bike. Fix this flat tire. Show this new trainee how to remove a rear derailleur. Still, by carving out just a few days each month to sit down with your city officials or coordinate your efforts with your local bicycle advocacy organization, you will be investing in the future success of your programs. City officials must hear from experts like you who understand the need to provide for people who ride bikes or walk to their destinations. They likely won’t be excited about pushing bicycle improvements, as Mr. Penalosa notes in the video. He was threatened with impeachment for making bicycle and pedestrian improvements! So you and your team of advocates will have to show your decision makers that you will be there for them throughout the effort. Your investment of time in improving your city will pay off over time. Start with a reasonable request that will not only improve access for bicyclists, but will be a likely winner with your officials. Read more about planning a successful campaign on our Campaign Planning page. The most important step, though, is to start now. Find out who is already working for better bicycling in your city and join them in their efforts. If no one else is doing this important work, find at least a few days each month to keep the topic front and center at your city hall. Let me know if you need help with any bicycle program or campaign efforts. That’s what One Street is here for!